In a report published Tuesday, SunTrust Robinson Humphrey analyst Bob Peck previewed Google Inc (NASDAQ: GOOG) (NASDAQ: GOOGL)'s upcoming earnings report, noting the company is investing "ahead of the curve" in many sectors and shares represent a positive risk to reward profile at current valuations. Peck noted the U.S. dollar continued to strengthen during the quarter and will represent a headwind for Google as 56 percent of its revenues are derived internationally. The analyst said foreign exchange weakness may impact the discretionary ad budgets for multi-national corporations (particularly in the first quarter) that could leave an impact on Google's branded ad efforts. Moreover, based on data from third-party providers, Google is seeing weakening quarter-over-quarter search trends and slowing paid click growth. In addition, the ongoing secular shift to mobile and the app ecosystem provides a short-term headwind, but has a long-term positive potential. Peck also stated that Google's appointment of Ruth Porat as Chief Financial Officer is a "positive development" for key areas of focus including greater disclosure around business lines and investments, but there is no visibility into timing or particulars. 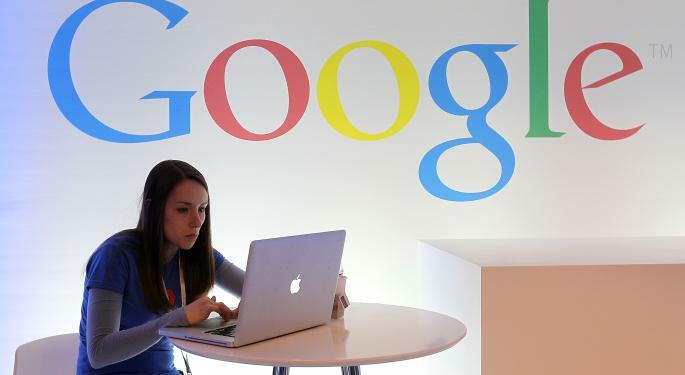 Peck estimated Google will earn $6.44 in the first quarter on revenue of $14.088 billion. This compares to the Estimize Consensus (based on 105 estimates) earnings per share estimate of $6.79 and revenue estimate of $14.293 billion. The Wall Street Consensus estimate is looking for an earnings per share of $6.63 on revenue of $14.055 billion. Peck revisited the top five investor questions and concerns that the company should address in its upcoming report. Timing and type of shareholder friendly steps. Negative trends including foreign exchange and search metrics. Recently announced algo search changes. 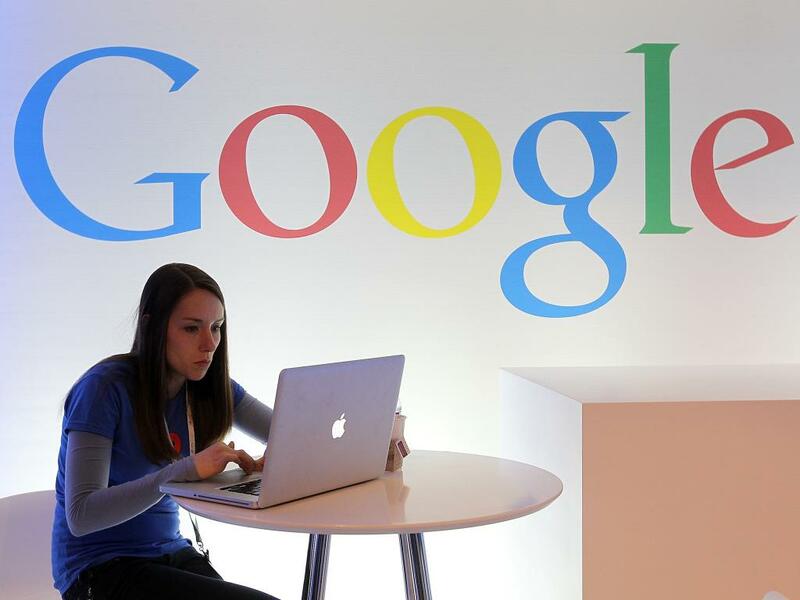 Bottom line, Peck stated that shares of Google are trading at 17.5x $27.50 2016 GAAP EPS ex. Tax Adjusted Net Cash, for a PEG of approximately 1.1x. This is in contrast to large cap tech companies with a median PEG of approximately 1.5x – implying negative trends and potential risks are "baked in" at current valuation levels, implying a positively skewed risk to reward profile.